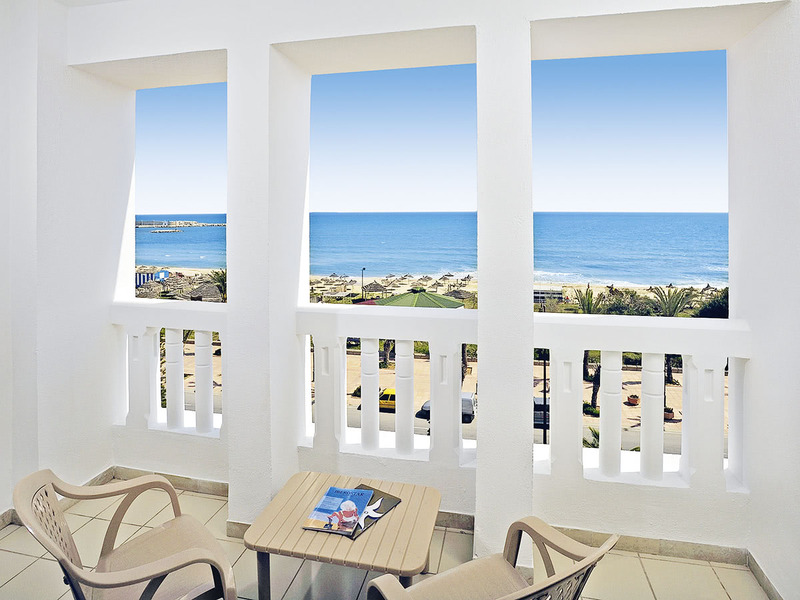 This brand new hotel is located directly on the beach, and is only a short stroll from the marina and the Medina. 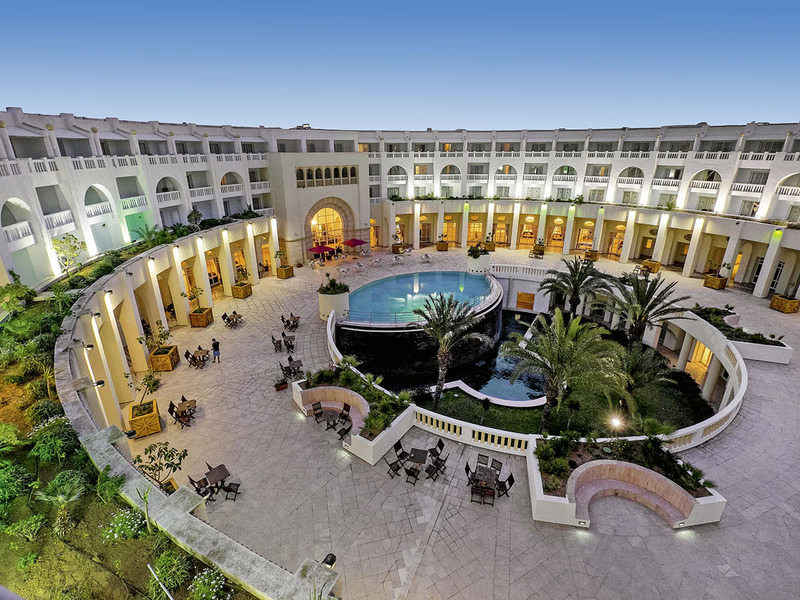 The hotel is 1 km from Puerto Deportiva, and it is only a few minutes away from the historic sites in the centre Hammamet. 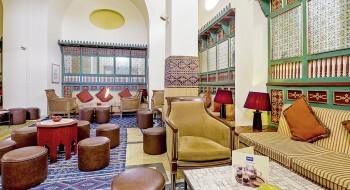 Tunis-Carthage international airport is approximately 65 km from Yasmine Hammamet. 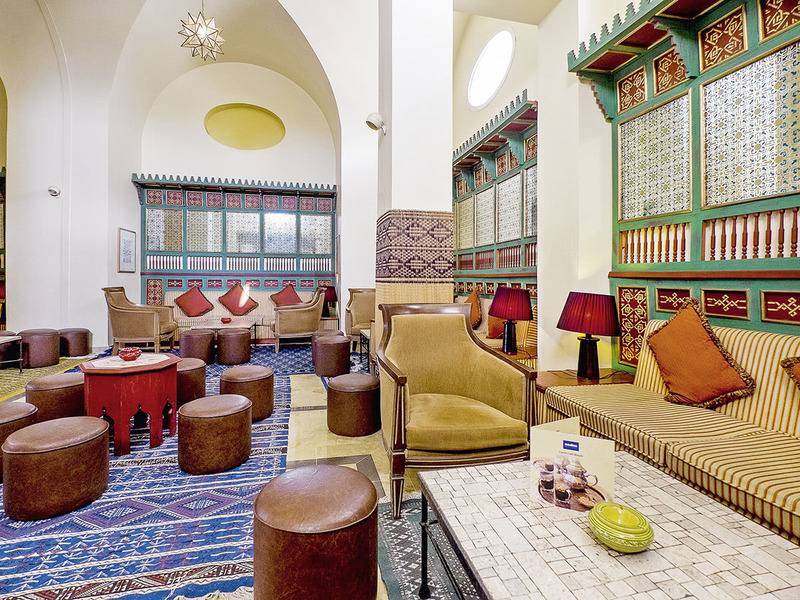 This is an excellent hotel in Tunisia, offering an elegant atmosphere near the Medina and the marina. 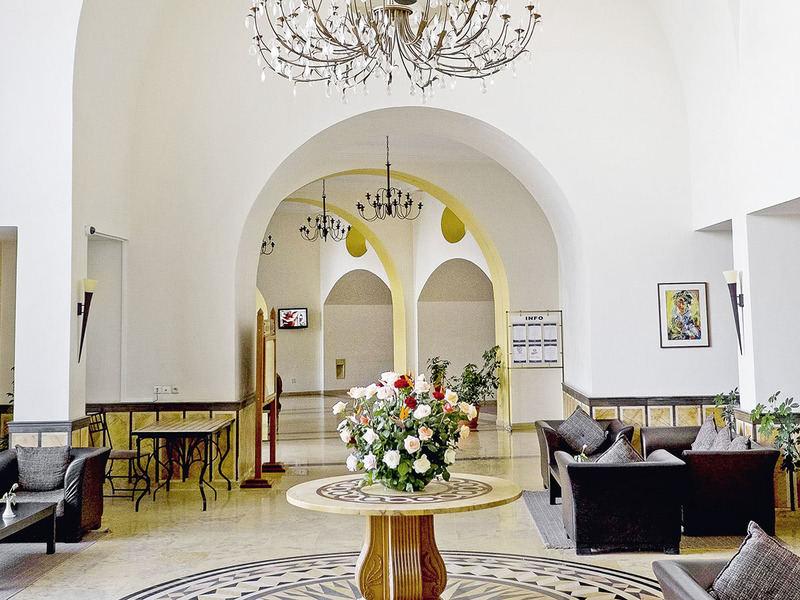 This 239-room beach hotel is fully air-conditioned and offers a lobby, restaurants, bars, a café, various shops and a bank. Parking is available, and there is a business centre with 6 conference rooms for up to 250 people. Further facilities at the hotel include lift access, a games room, TV-room and room service. For an additional fee guests can use the Internet/WLAN access and the laundry facilities. There is a mini club and a play area for younger guests. 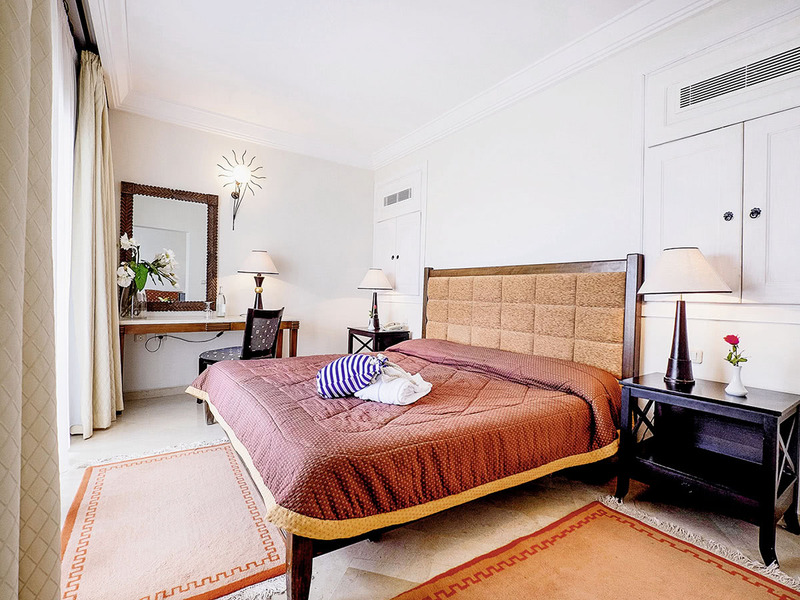 All the rooms are equipped with individually regulated air conditioning, a safe, direct dial telephone, satellite TV, hairdryer, bathroom with bathtub and WC, a refrigerator and a balcony. Internet access is available in all rooms. 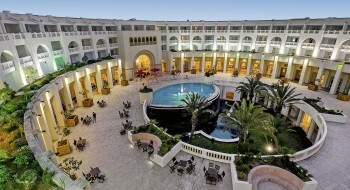 The hotel provides various entertainment programs during the day and the evening with the entertainment team. There are 2 golf courses just 5 km from the hotel. 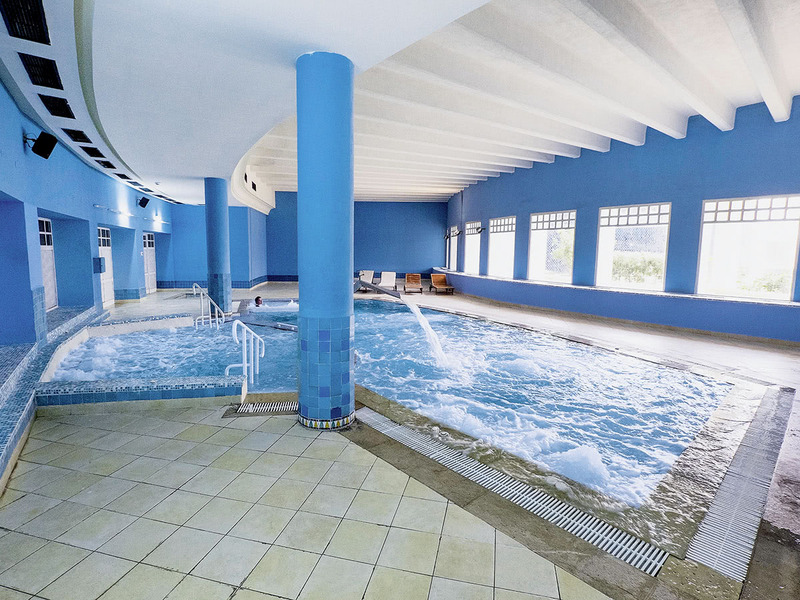 The hotel also has a Thalasso-therapy centre (1,300 m²) as well as a gym and health club. 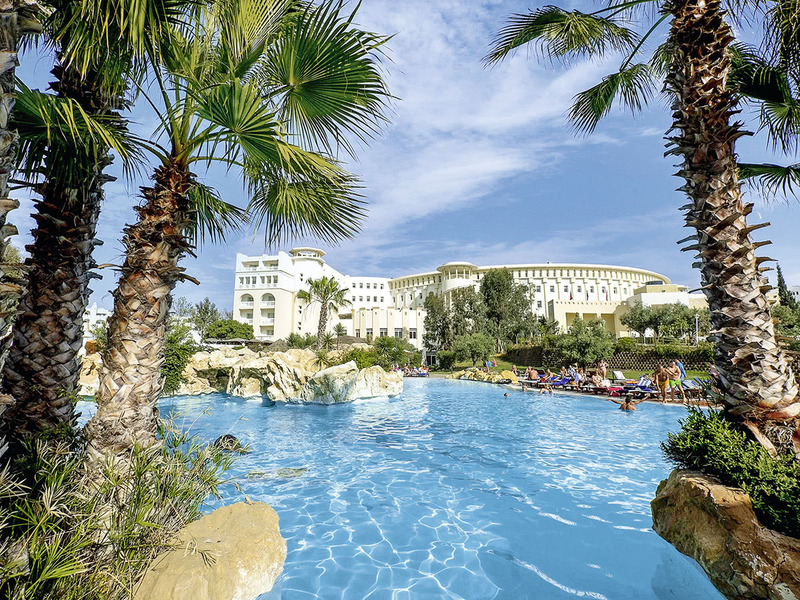 In the extensive, well kept gardens there are 2 swimming pools, one of which has 3 levels. 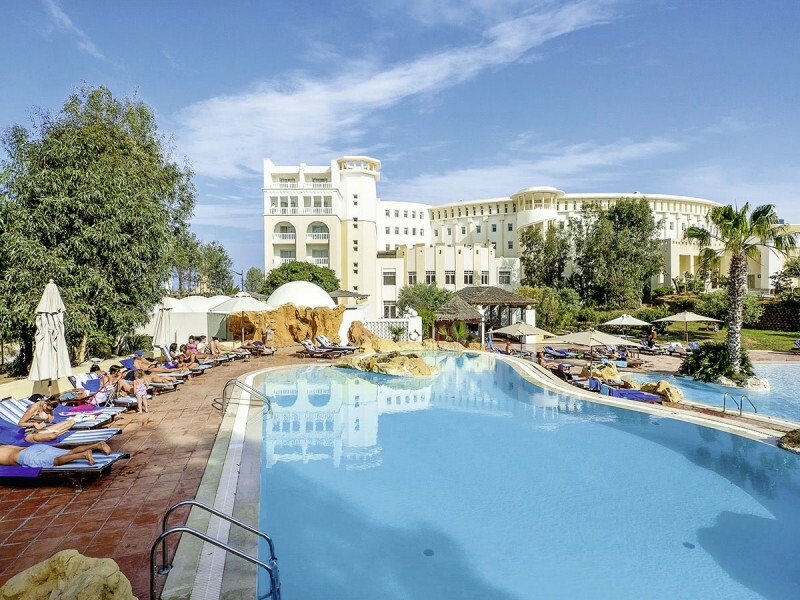 There is a children’s pool, a poolside snack bar and sun loungers and parasols for guests to take advantage of. There is a spa pool, a sauna, steam room and massage and other spa treatments on offer. Tennis is an option, as is aerobics, beach volleyball and Bocce. Breakfast is provided in buffet form, and there is an international buffet for lunch and dinner. Evening meals can also be enjoyed à la carte.